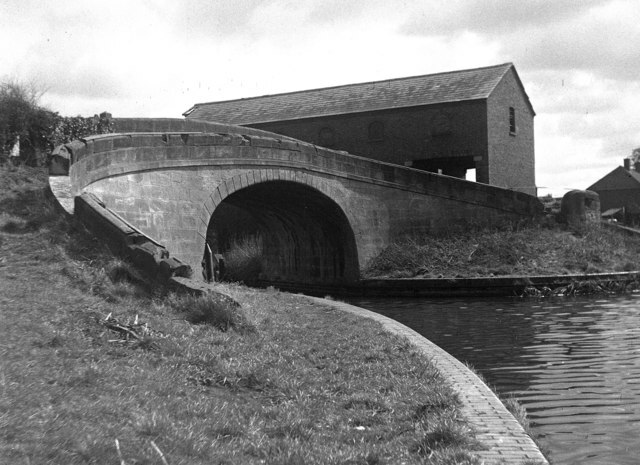 Part of Shrewsbury Canal as it once looked. I am thrilled to be able to report that the recent exposure on the Community Channel television has resulted in more episodes of the Bald Explorer requested. This is excellent news and all the encouragement I need to take my camera out and shoot some more of the fabulous history of Great Britain. There are another three full length episodes planned which will look at different aspects of British life. In one programme I have teamed up with the Canals and River Trust, formerly British Waterways to explore the winter stoppage work that goes on to repair and maintain the existing canal systems up and down the country. I am also exploring the highly ambitious work of the Shrewsbury and Newport Canal Trust who having been proposing the complete restoration of their navigation since 2000. The Shrewsbury Canal once had a basin and wharf behind the Buttermarket in the county town of Shropshire, near the Railway Station. Roughly 200 hundred years ago narrow boats and in particular tub boats would transport coal, corn, wool and luxury goods by water as it was far easier than by road. Now the canal system has all but disappeared with only the occasional watery reed ditch to show where it might have been. A view at Wappenshall Wharf and how the canal might look once restoration is complete. I am very excited about this particularly episode as I will be filming people that remember the working canals and made a living from them. Also I shall be delving into the archive of photographs to see the real story of the working canals. These days we think of them as pleasure destinations. Walkers, canoeists, cyclists, narrow boat enthusiasts and a host of holiday makers take to the British waterways for fun and relaxation. I am sure it was very different back in its golden era. There are relics of the canals all over the UK and thousands of people dedicated to bring these wonderful waterways back to life. I hope the Bald Explorer episode can tell something of the story of the canals and reach a wide audience to inspire more to get involved and help preserve this important part of our industrial past for the future generation to enjoy.